NOTE: These conversion kits only work with Rodeo Spork 1.x. It does not work with any third party forks. Our fork design and conversion kit design is proprietary. Rodeo Spork 1.x originally came with 15mm axles by default. 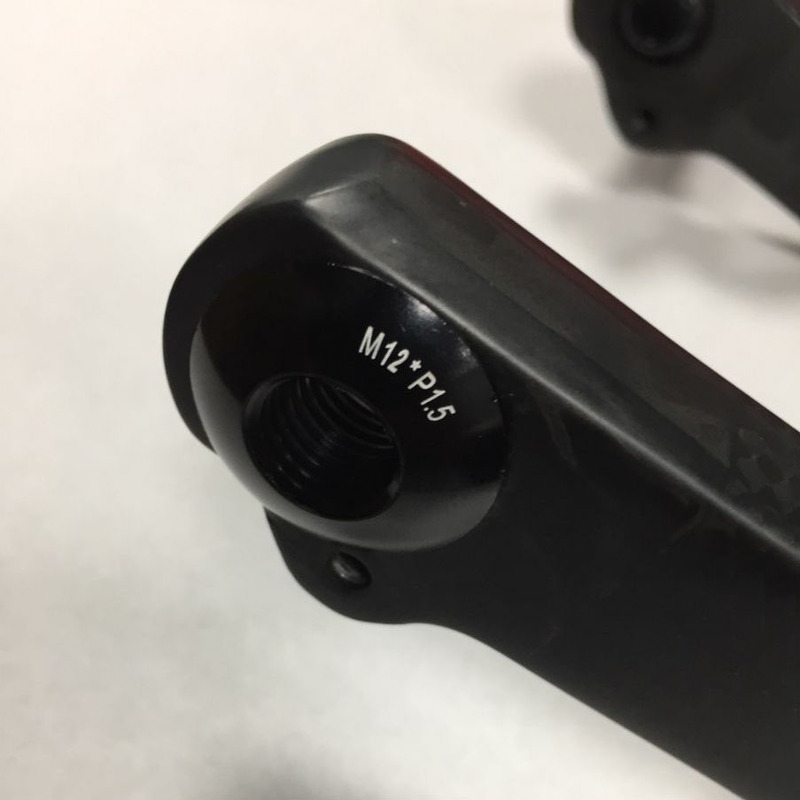 Recently we’ve changed the fork to be axle size agnostic and it can be ordered either as a 15mm axle for or 12mm axle fork. Spork 1.x can however be converted between either axle spec after the fact. The conversion kits on this page contain all of the parts, axles included, that are required to do so. Our 12mm kit replaces the swappable threaded insert on the drive side of the fork with a 12mm insert. On the non drive side of the fork a simple press-in 15mm to 12mm step down spacer reduces the axle size properly. 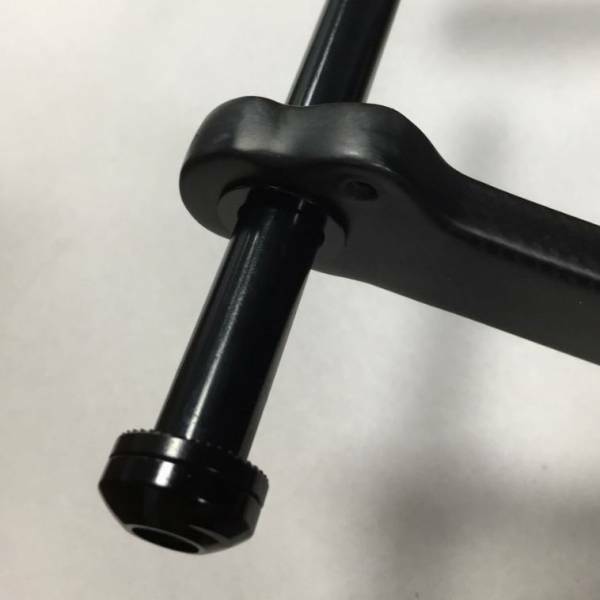 To convert from 12mm to 15mm one simply removes the step down spacer on the non drive side and replaces the 12mm threaded nut on the drive side to the 15mm threaded nut. A 100mm hex through axle is included with this kit (130mm total length, shoulder to end of threads). – Threaded 12mm or 15mm, 1.5p drive side insert. 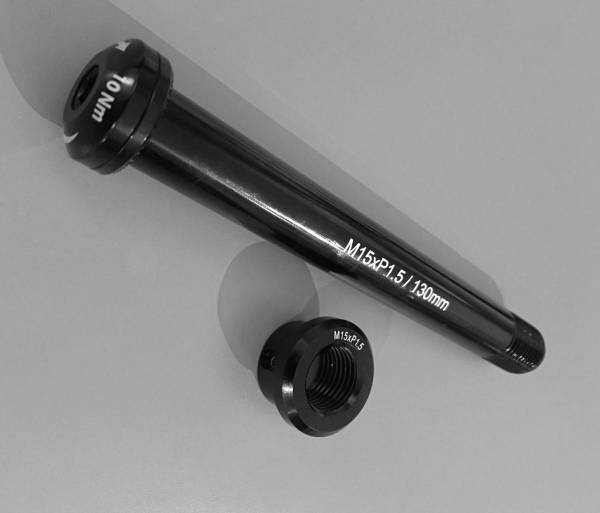 – 12mm kit includes non-threaded 15mm to 12mm step down insert.